"You just cannot be sad when you're eating ice-cream!" Ice-cream licks on a hot afternoon! 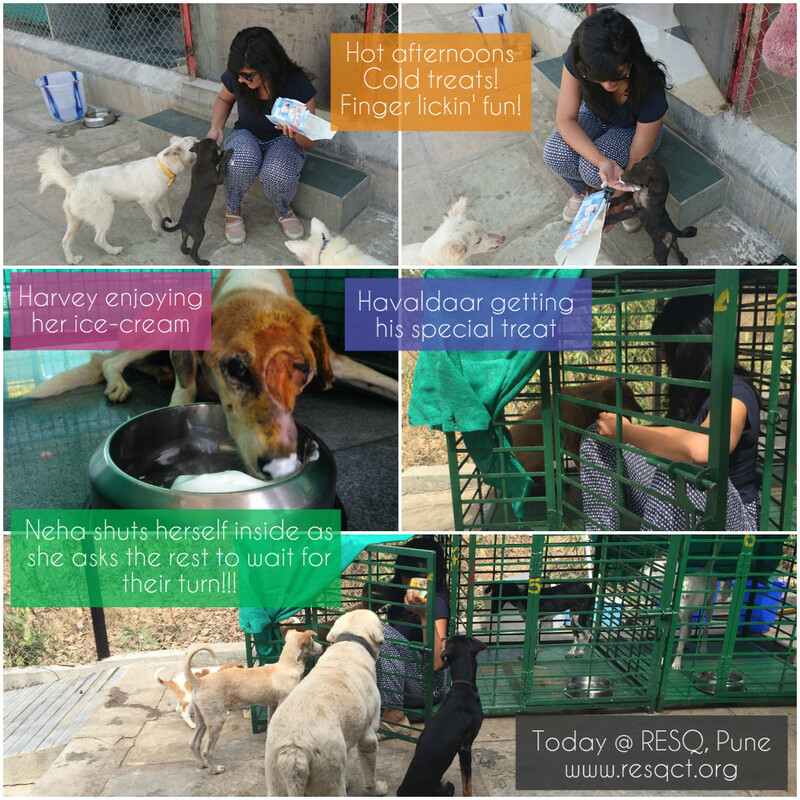 It was a vanilla ice-cream FEAST for the dogs at RESQ as someone donated loads of it!